Freedom Restoration & Roofing offers stress-free financing options for homeowners throughout Greater St. Charles. During a consultation, we can discuss with you our financing options designated to fit your specific project. Our financing options cover work for Roofing, Siding, & Windows and will help make the entire process easier. Freedom Restoration & Roofing's in-house financing options were designed with you in mind, which means we want your roofing project to go as smoothly as possible, including the expense. 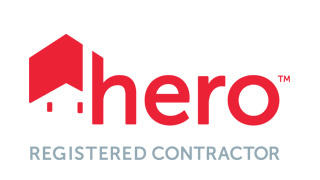 HERO provides a financing option that is paid back with your property taxes. Call us today at 1-855-561-6143 to further discuss details and stipulations of our financing options available in Missouri. How Renovate America's HERO Financing Works for Energy Efficiency Home Renovations. * Please contact your tax advisor to determine if you may be eligible for tax benefits.